Over forty years ago, I lost my favorite sports equipment — snow! Today, I have it once again. I was also able to replace the corresponding kit with these cross-country skis from The Store. Here I am in my backyard wearing Nordic skis for the first time since before the movie Star Wars existed. It took a couple of km for forty year old memories to revive but luckily I am still pretty good at cross-country skiing. It is definitely a serious high wattage activity! Which of course I like. Today everybody seems to be freaking out about some refreshing cool weather (1F/-17C at the moment) and a bit of snow. The Buffalo area is shown in the green circle. I actually was kind of expecting more snow, (maybe something like this) but it will do. 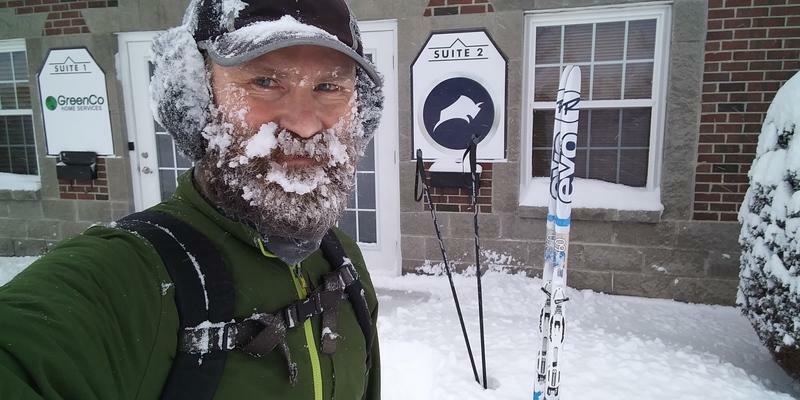 Although most commerce seems to have come to a grinding halt today, I was happy to be able to do my commute by ski — that also for the first time in over forty years when I sometimes skied to school. I not only survived but I really enjoyed it. I actually didn’t fully notice how cold it was this morning. 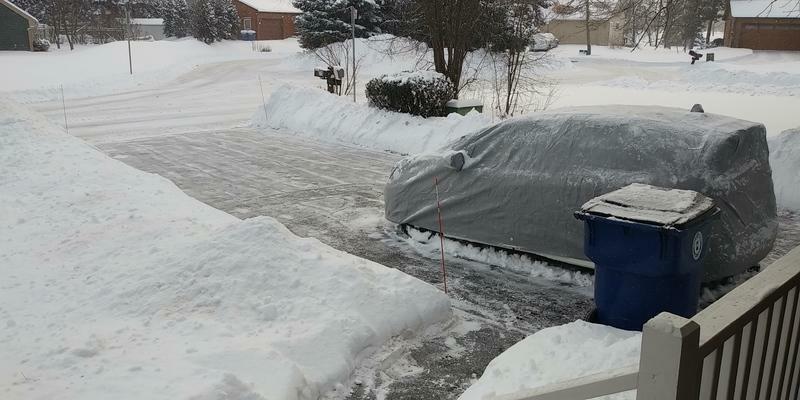 After my customary driveway shovel warm-up, once out on skis I was working pretty hard. 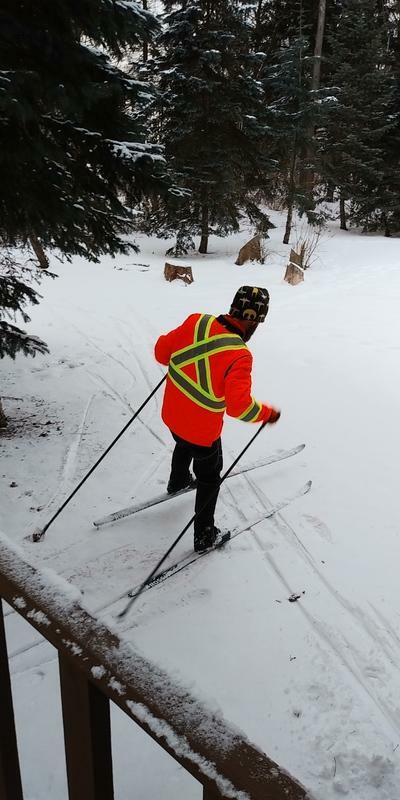 It can be tough slogging through deepish snow on those (groomed trail) skis or trying my luck with the dangerous cars on icy roads. I had fun, but I will probably just stick with biking to work which is much easier and do my skiing on the gorgeous forest trails behind my house.